In September (26th and 27th) we had a training for one of our village banking groups. These grops (called VSLA=Village Savings and Loan Associations) save money together since they cannot acces a regular bank. It gives people a chance to take control over their finances and learn how to plan, access small loans when they are in need (e.g. for their children's school fees) and empower themselves through the benefit of being in a group. This particular training was for our third and youngest group in the Nkwandwa village. 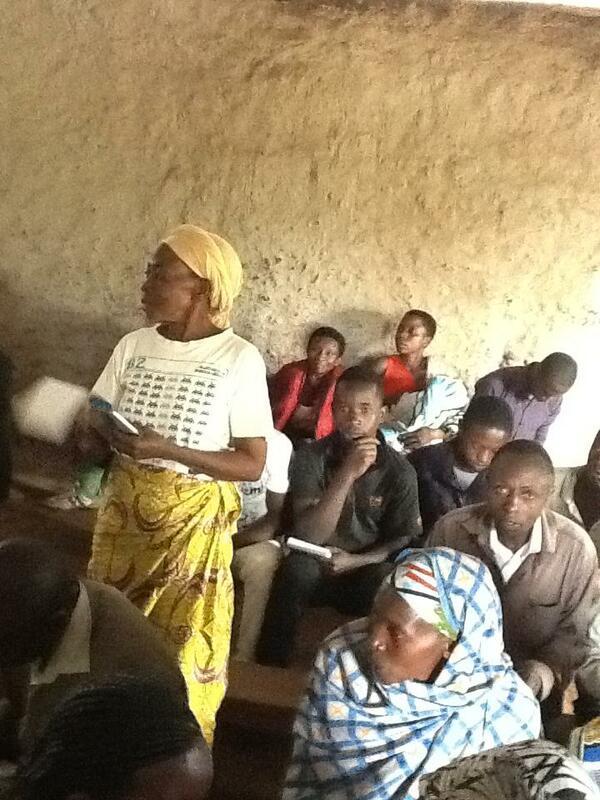 The training was guided by Julie Matovu and assisted by some of our extraordinary EV leaders (see photos). What was really fantastic was how the group expressed an keen interest in learning about how to initiate development projects within their community. In a discussion they shared their views on the advantages of working in groups. The most outstanding advantages that were mentioned included knowledge sharing, peer encouragement, accomplishing much more tasks as a result of team work and being able to generate credit through member savings.